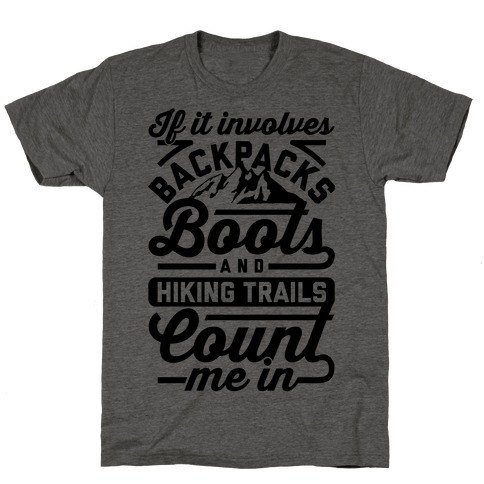 Browse our collection of 59 Outdoor T-Shirts and more. Designed and printed in the USA. 100% Satisfaction Guaranteed. About this Design Camping is the answer, who cares what the question is. Show you're love for the great outdoors with this camping inspired design. Camping is the answer, who cares what the question is. Show you're love for the great outdoors with this camping inspired design. About this Design The forest, mountains and trails are there to make you happy. Nature will always be there for you and waiting. No cellphone required because the mountains will answer your problems, or at least help you escape from them. So set up camp and lay near a campfire with this great, "Hust Hike and Be Happy" hiking shirt! The forest, mountains and trails are there to make you happy. Nature will always be there for you and waiting. No cellphone required because the mountains will answer your problems, or at least help you escape from them. 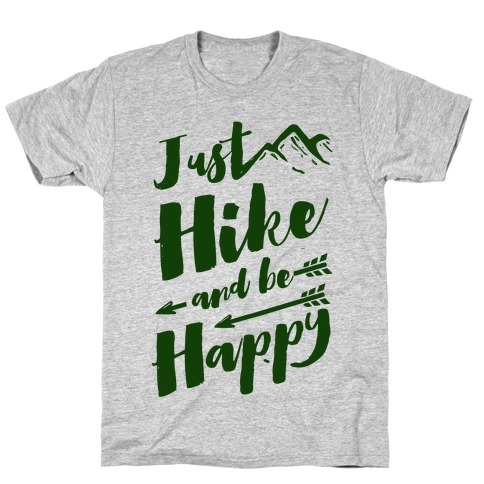 So set up camp and lay near a campfire with this great, "Hust Hike and Be Happy" hiking shirt! About this Design Theres only one right way of living and thats country livin! Get together with friends around a campfire cowboy style and drink whiskey till the sun sets. 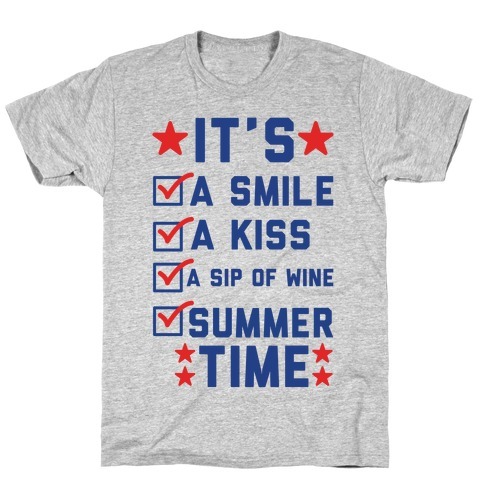 If youre a country lovin American, this awesome country shirt is perfect for you! Theres only one right way of living and thats country livin! Get together with friends around a campfire cowboy style and drink whiskey till the sun sets. 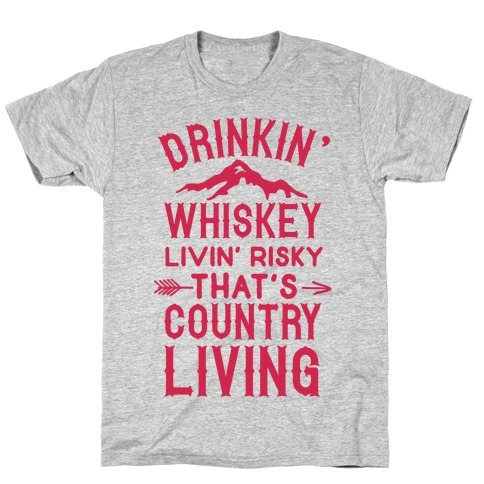 If youre a country lovin American, this awesome country shirt is perfect for you! About this Design The nations colors are bold and strong just like plaid. Sit back relax and spend some time in the outdoors with this patriotic, plaid shirt. The nations colors are bold and strong just like plaid. 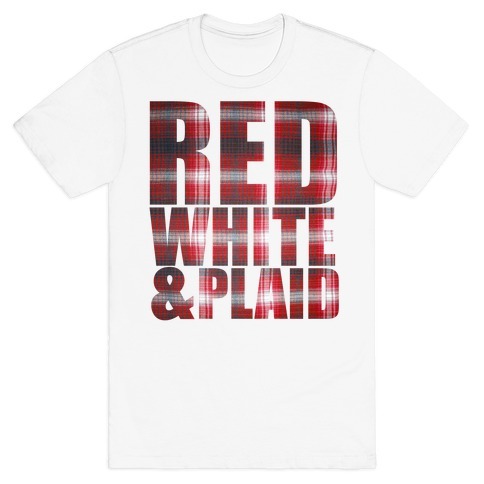 Sit back relax and spend some time in the outdoors with this patriotic, plaid shirt. About this Design Outdoor warrior! Show the world you're readying for anything nature can throw at your with this camping t shirt. Nature lovers everywhere can unite for survival in the wilderness, songs around the campire and lots and lots of s'mores. For all those who can't get enough of outdoors, here's a nature shirt just for you. 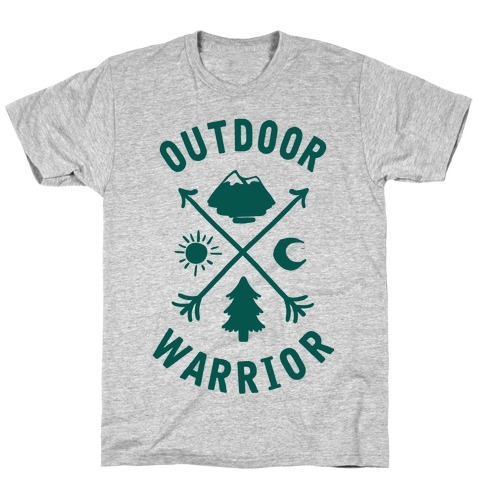 Outdoor warrior! 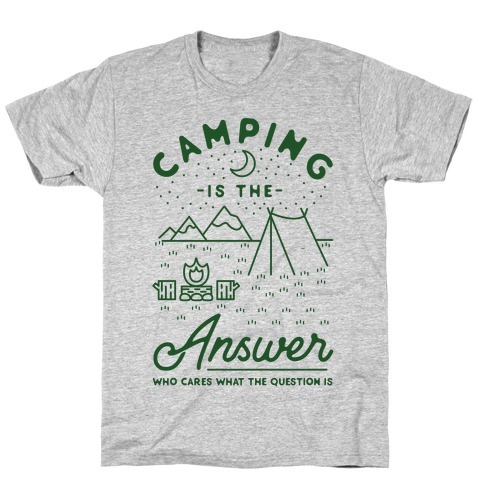 Show the world you're readying for anything nature can throw at your with this camping t shirt. Nature lovers everywhere can unite for survival in the wilderness, songs around the campire and lots and lots of s'mores. For all those who can't get enough of outdoors, here's a nature shirt just for you. About this Design This shirt is perfect for the craft beer enthusiast, who can't help loving the great outdoors or as we say drinking on your patio out back. If you love being outside, but not really camping you'll love drinking on a patio even more. Grab your friends and have a great beer where you don't have to worry about getting lost. 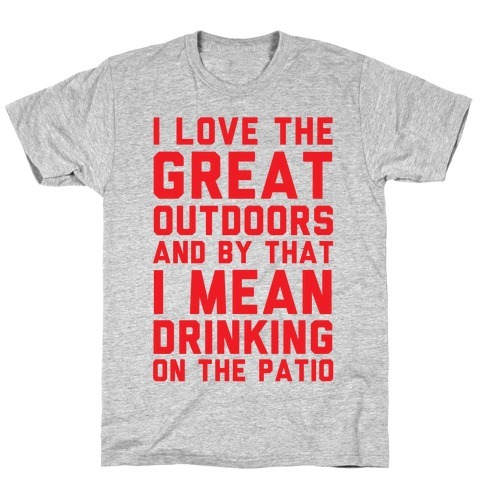 This shirt is perfect for the craft beer enthusiast, who can't help loving the great outdoors or as we say drinking on your patio out back. If you love being outside, but not really camping you'll love drinking on a patio even more. Grab your friends and have a great beer where you don't have to worry about getting lost. About this Design If a is on a shirt in the middle of the woods and no one is around to read it, is it still ? 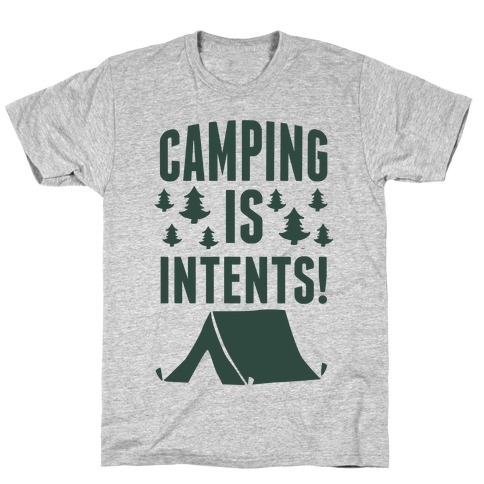 Find out with this Camping is intents shirt! Get ny when you go camping with this outdoors wear! If a is on a shirt in the middle of the woods and no one is around to read it, is it still ? 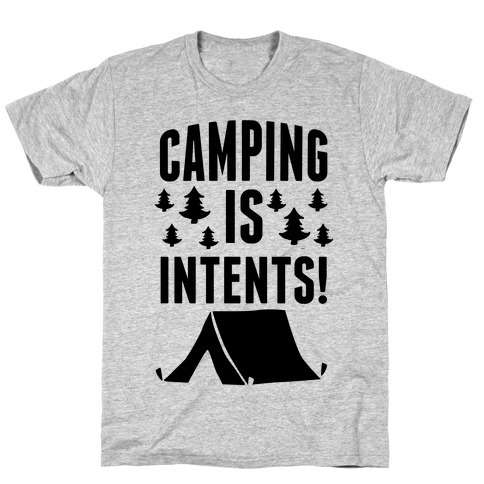 Find out with this Camping is intents shirt! Get ny when you go camping with this outdoors wear! 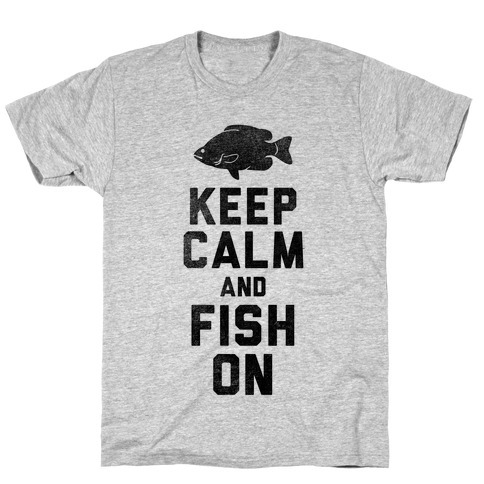 About this Design Keep calm and fish on! If you love the outdoors and fishing, this is the perfect shirt for all your river, lake, or ocean reeling! Keep calm and fish on! If you love the outdoors and fishing, this is the perfect shirt for all your river, lake, or ocean reeling! 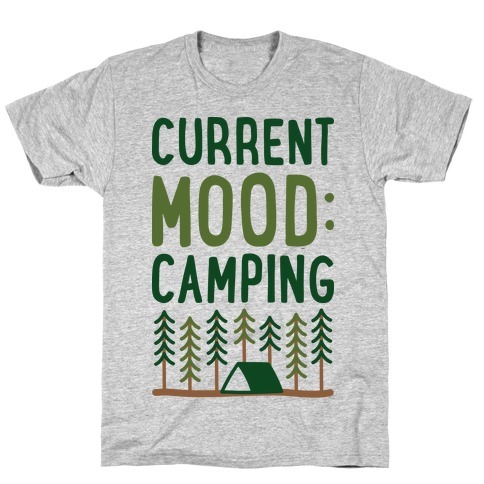 About this Design Share your love of camping and desire to get out into the woods with this "Current Mood: Camping" nature lover and camping design! 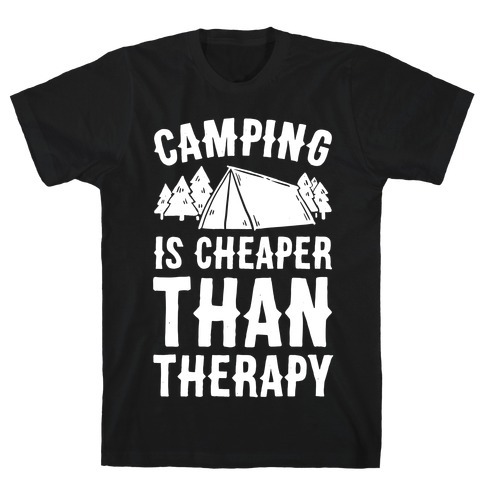 Perfect for going camping, camping , camping humor, gifts for campers, escaping reality and being outdoors! Share your love of camping and desire to get out into the woods with this "Current Mood: Camping" nature lover and camping design! 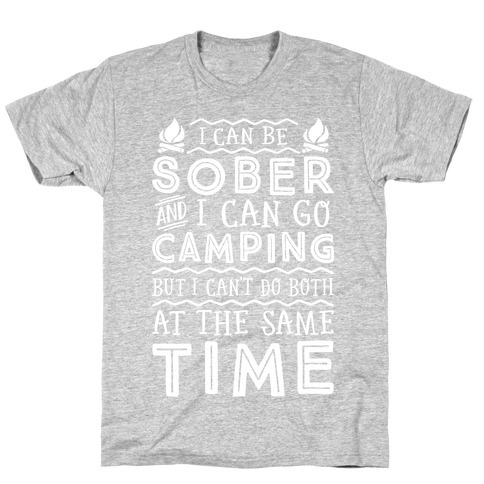 Perfect for going camping, camping , camping humor, gifts for campers, escaping reality and being outdoors! 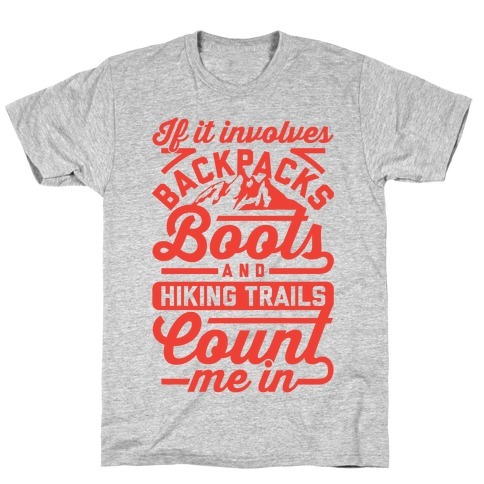 About this Design If you prefer the outdoors to the workplace or home, you'll love showing off how much you like being outside with this cute camping shirt. Therapy isn't needed when you can get out to the lake, woods or mountains. Pitch a tent and stay for the weekend, you'll never feel better. If you prefer the outdoors to the workplace or home, you'll love showing off how much you like being outside with this cute camping shirt. Therapy isn't needed when you can get out to the lake, woods or mountains. Pitch a tent and stay for the weekend, you'll never feel better. About this Design You don't just love camping, you're born to camp! This camping design features the text "Born To Camp" with some tree s and water. Perfect for a nature lover, camper, hiker, explorer, tree hugger, going camping, a camp champ and being outdoors! You don't just love camping, you're born to camp! 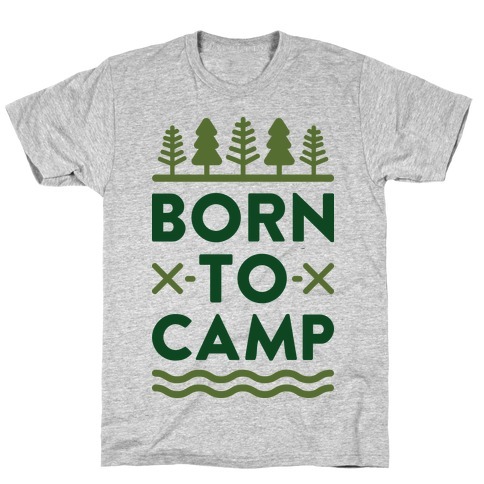 This camping design features the text "Born To Camp" with some tree s and water. Perfect for a nature lover, camper, hiker, explorer, tree hugger, going camping, a camp champ and being outdoors! 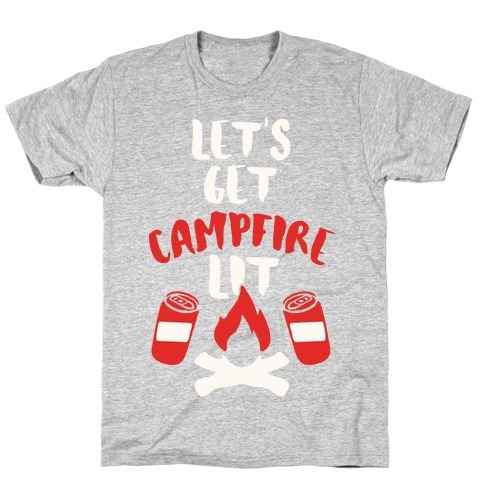 About this Design Show off your love of the great outdoors with this nature lover's, camp ground inspired, marshmallow roasting, s'mores lover's, camp inspired, drinking shirt! Stay warm and cozy by the fire and get drunk with your camp buddies! 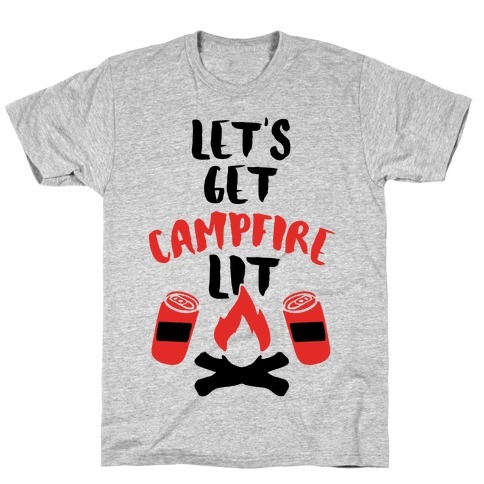 Show off your love of the great outdoors with this nature lover's, camp ground inspired, marshmallow roasting, s'mores lover's, camp inspired, drinking shirt! Stay warm and cozy by the fire and get drunk with your camp buddies!